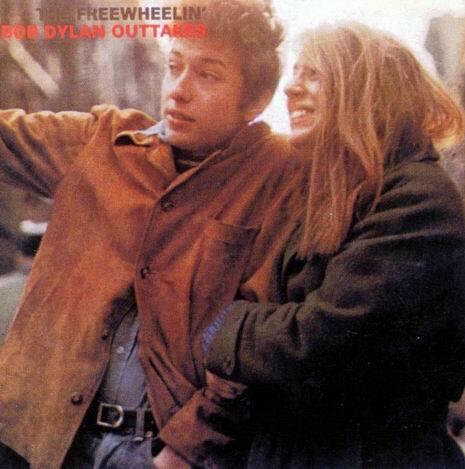 When Dylan released his landmark album The Freewheelin’ in 1963 he had something special. Out of the 13 songs on this his second album 12 were written by Bob Dylan, and about half of the tracks became all-time classics. 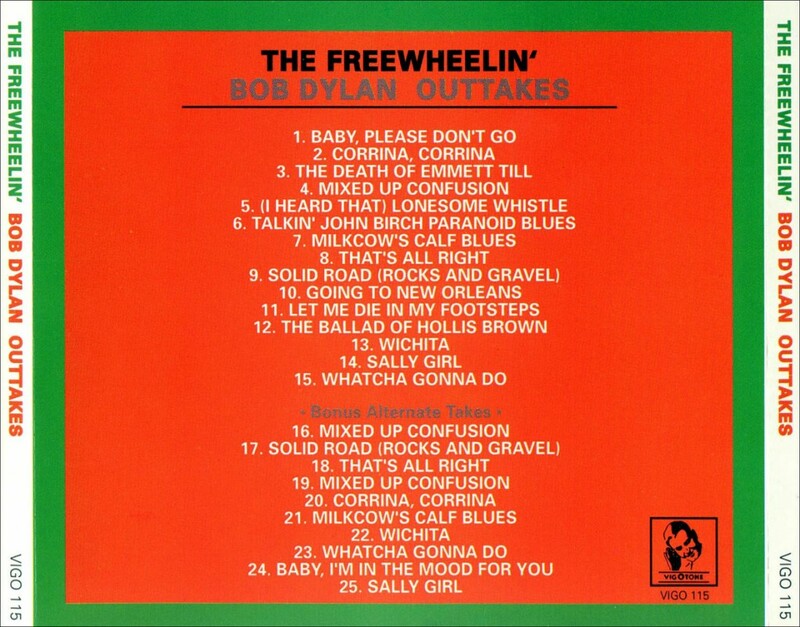 This very good outtakes bootleg, which was first released on CD in 1994, includes several great tracks that until today remain officially unreleased or has a very limited release. The cover photography is from the same photo-session as the official cover . Hearing the songs that didn’t make the album, does not show us a weaker Dylan, but rather, other roads taken and other views. He was already then looking at different angles and ways to present a song. If you can find this album (and it is quite easy) get it and witness the beginnings of Dylan as we know him today. This is fresh, angry, bluesy and incredibly good! A great package. The cover is an alternate photo from the Don Hunstien West 4th street photo shoot that produced the official LP cover. Inside is Dylan at CBS studio NY with famed producer John Hammond. The recordings are clear, crisp, and right off of the mix down board. This CD belongs in every collection. It was re-released in 1999 by an unknown Label, and again in 2001 by OMR.